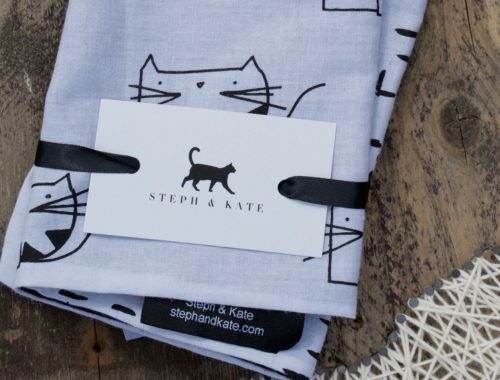 Hauspanther’s Holiday Gift Guide Is Here And We’re Going To Need Bigger Stockings! 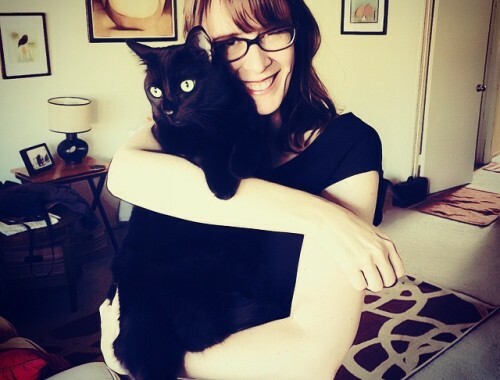 Cynthia: Hey Awesome Cat Peeps! Hauspanther’s Holiday Gift Guide is here! penelope kitten (squeaking): woot woot! Cynthia: We look forward to this gift guide every year. 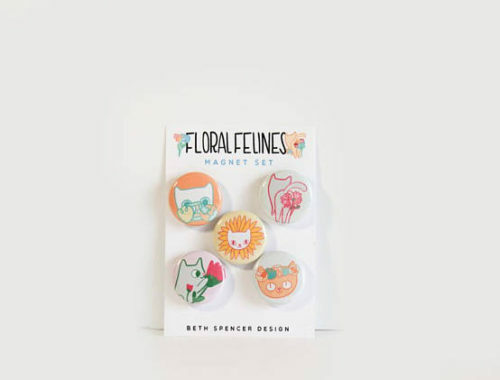 It’s got the latest and greatest gift ideas for cats and their hoomans. 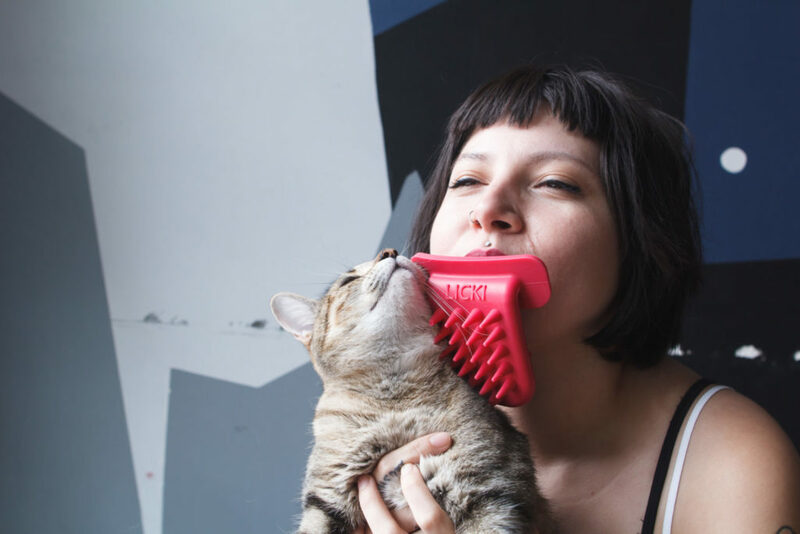 Cynthia: This year our KittyFace Tech Case is featured in the “Gifts For Cat Lovers” section. penelope kitten (proudly): page 39. 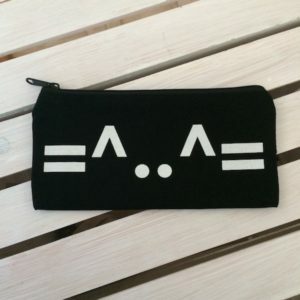 Cynthia: As you know, our KittyFace Tech Case is purrfect for storing tech gear like cords, chargers, usb ports, and ear buds. Plus, it’s got a lovely ocean blue lining. penelope kitten: i use it to store my crayons. Marcy (impatiently): What else is in there? Cynthia, Marcy, and Penelope Kitten excitedly peruse the guide. 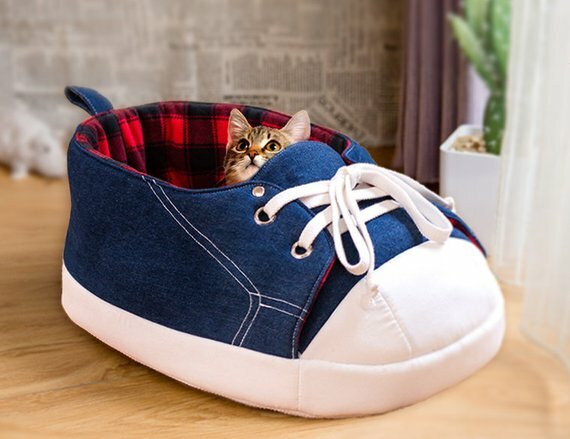 penelope kitten: I’m asking Santa to please bring me the sneaker shoe bed. Cynthia: Adorable. And so you. Marcy: I want a bunch of these birds. 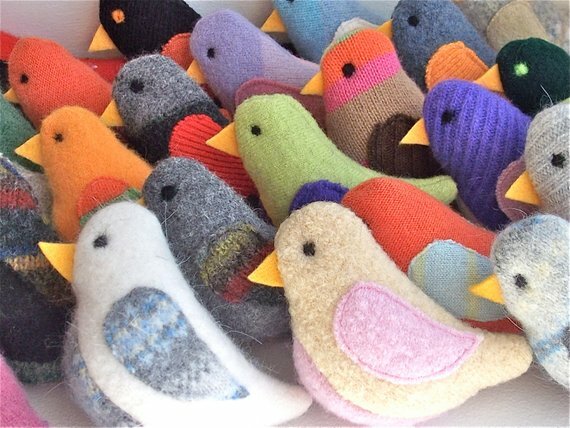 Cynthia (gushing): Ahhhh… those sweater birds are soooo sweet! Cynthia: Ohhh… I’m going to ask for a cat snap cardigan. 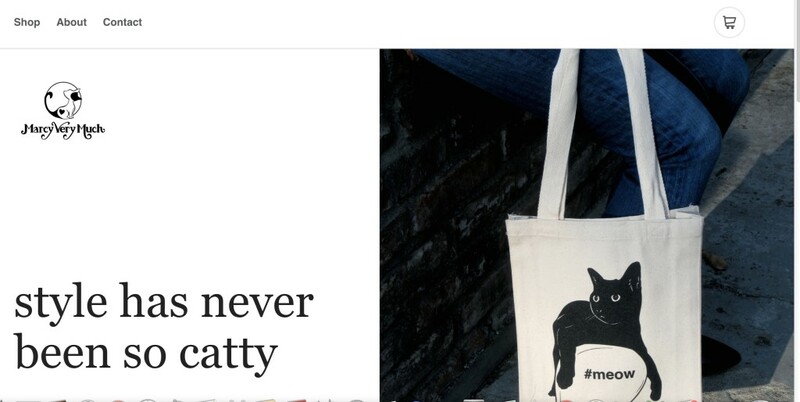 It’s very cat lady chic. Who’s my pretend Santa this year? Cynthia: I’d like it in gray please. Penelope unwraps her sneaker bed. Marcy unwraps her birds to destroy. Napping JoJo should make person size shoe beds! I’d buy one too! We are very happy to hear you love your tech case! Purrs. I use my tech case for makeup. Is that allowed? 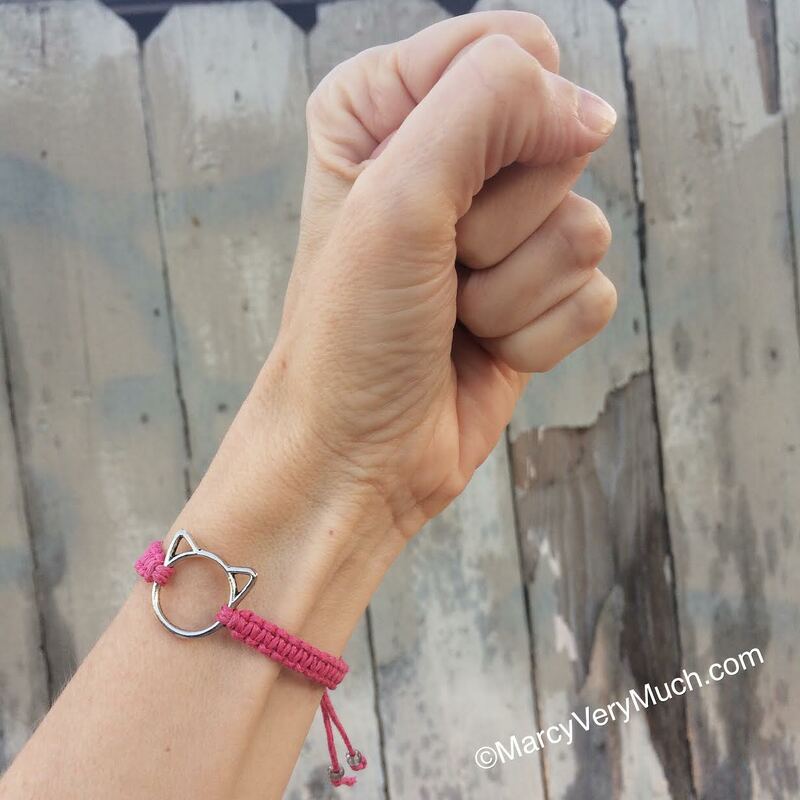 This post makes me wish I had a kitty to shop for. Maybe there’s one in my future. You can use your tech case for anything you want. Marcy uses it to hide her treats from Penelope.She also says that there should always be a kitty in one’s future. Mazel tov on p. 39!! I need the shoe bed and the birds. Maybe I’ll get something for my cats, too. The shoe bed for the win!